Ever been working on a design and wished there was something that could enhance your image? Perhaps an effect to make the picture more amazing. Yep, we’ve all been there. Lucky for you and us, there are tons of elements that you can use to make the finished product more awesome. 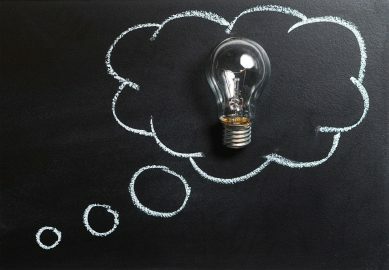 1 Good Quality, Easy to Use, Free! Good Quality, Easy to Use, Free! If you’re like us, we like the free stuff. And not just that, we’re also after good quality. What’s more, we want something that’s easy and fast to do. With the Chalkduster font, it’s as simple as pie. What a great way to enhance your images without hassle. And without cost to you. Coz it’s free! With these simple tips, we hope to help you become a pro at graphic design overnight. From fonts to pictures, we aim to have these easy-to-follow pointers empower you at creating amazing graphic designs. The internet is a game-changer. It offers a lot of information that isn’t usually available in libraries or classrooms. Case in point: graphic design. Like most people, a lot of the guys in our team are self-taught in graphic design. Sure, some of us took basic classes and even crash courses. But a huge chunk of our graphic design knowledge came off the internet. After all, it’s a highly accessible avenue with lots of helpful information to offer (not to mention an open archive of design elements just like the Chalkduster font). Plus, it’s free! In this list of graphic design hacks, we want to share the knowledge we gained from online resources as well as the things we learned through our everyday interaction with the friendly internet folks. So without further ado, here are tips that will make you a pro and a superstar overnight at graphic design. This particular area in graphic design stumps many people. Failing to recognize what blends with what may result in an appalling work, if not completely abysmal. This is something you should avoid, and it is avoidable. Take the case of the Chalkduster font. The font color is white, so it’s not a good idea to pair it with a background with a lighter shade. To swerve away from this pitfall, choose your font styles with high contrast yet still maintain a delicate balance in the design features. Be mindful of the differing sizes of the various font styles to distinguish the principal text from the supporting ones. Color harmony is another critical factor when attempting to achieve a seamless balance in your design. To effectively make your design stand out, match the font, text holders, and other graphic elements with your background image. Want to create an eye-catching composition? Try using grids. You can separate multiple images with similar themes by placing them in individual grids. If the subject of your photos involves the horizon, make sure you line them up well. You’ll be surprised how well you can create awesome images with shapes and icons. This is particularly applicable when looking to illustrate reports and statistics and such. 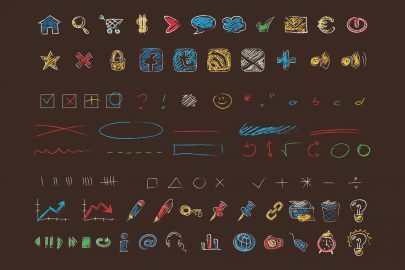 Shapes and icons are a great way to emphasize crucial data while making it interesting at the same time. If you’re looking to creating an informative post that’s not too boring for your audience, you might want to play with these graphic design elements on your next presentation. Saturation is a key element when fixing the color issues in your design. However, the decision to make images vivid or dull, bright or pale, is best left to your discretion. But if you want to make the subject of your design to become richer, we recommend intensifying the hues. Otherwise, you risk making your images appear muted and washed out. In the case of the Chalkduster font, having a pale-colored background may not be a good idea. If you’re planning to add copy over your background images, play with the crop option. Little overlay text may mean a lot of white space in the background. On the other hand, lots of text may result in a crowded look. So if you have little text over the images, crop it to minimize the white space. Or if you need more copy space, maximize it by increasing the size of the images. If you’re creating multiple images for branding purposes, stick with a single theme. Consistency through visual cues helps with brand recognition. The repetitive placement of design elements and the way the text and color palette are patterned are crucial elements that contribute to better communication to the targeted market audience. Virtually every single person on earth has a social media account. Whether it’s Facebook, Instagram, or Twitter, it is a very powerful platform that reaches to us in our everyday lives. So why not create design elements fit for social media use? Would you like to have more free graphic design effects like the Chalkduster font?Want to develop your graphic design skills? Need to create visual designs or presentations? Get in touch with us. We can advise you on ideas that can make your graphics stand out. 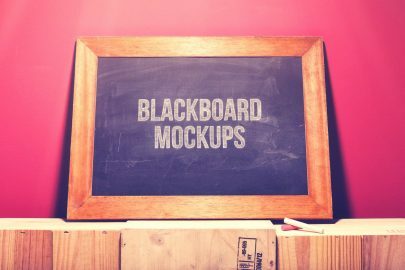 Check out our other mockup templates. 65+ Photoshop Brochure Template Collection You Can Download for FREE! Best PSD Flyer Mockup Designs You Can Download for FREE!